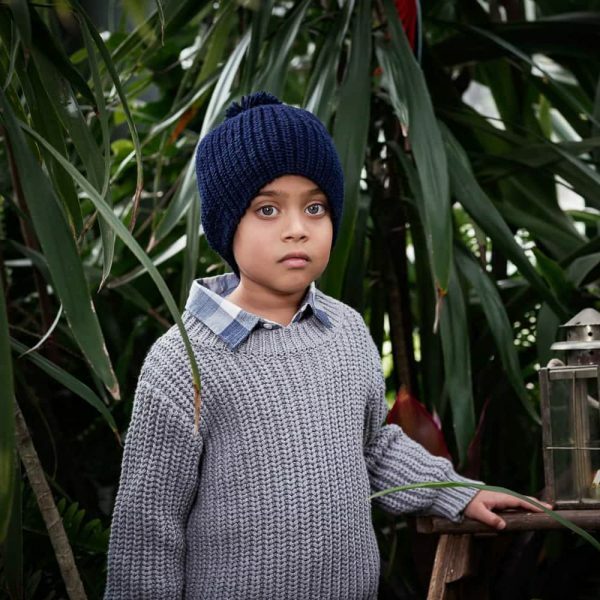 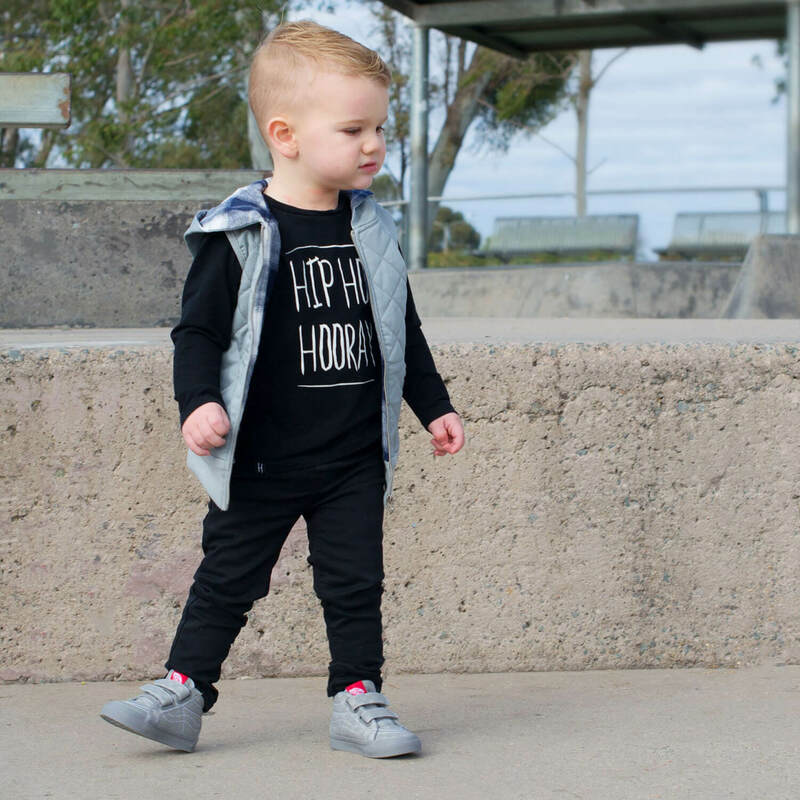 Note: Model is featured in toddler size. 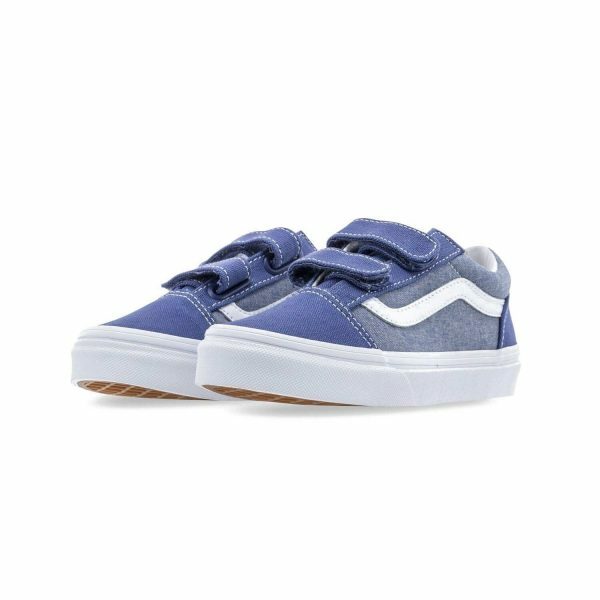 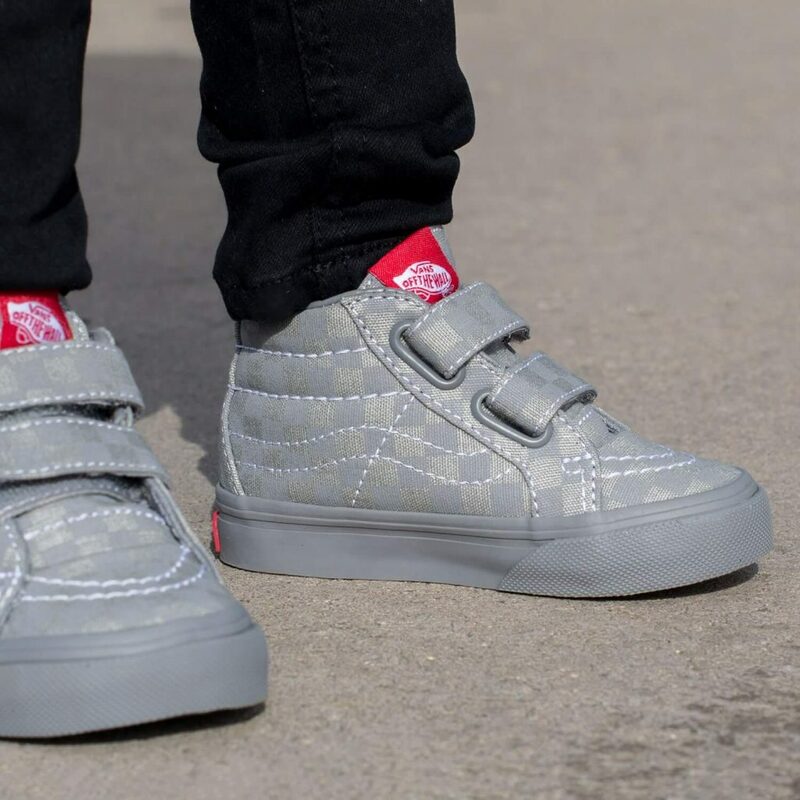 Not quite a hi-top and not quite a low rise, these mid length Vans toddler sneakers are monochrome cool and perfect for everyday wear in the cooler time of year. 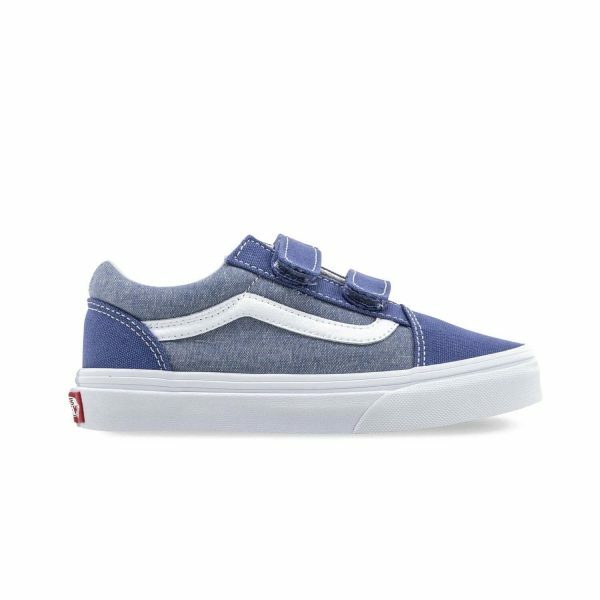 They are an easy double strap closure style and feature the checkerboard pattern in the true Vans style everyone loves. 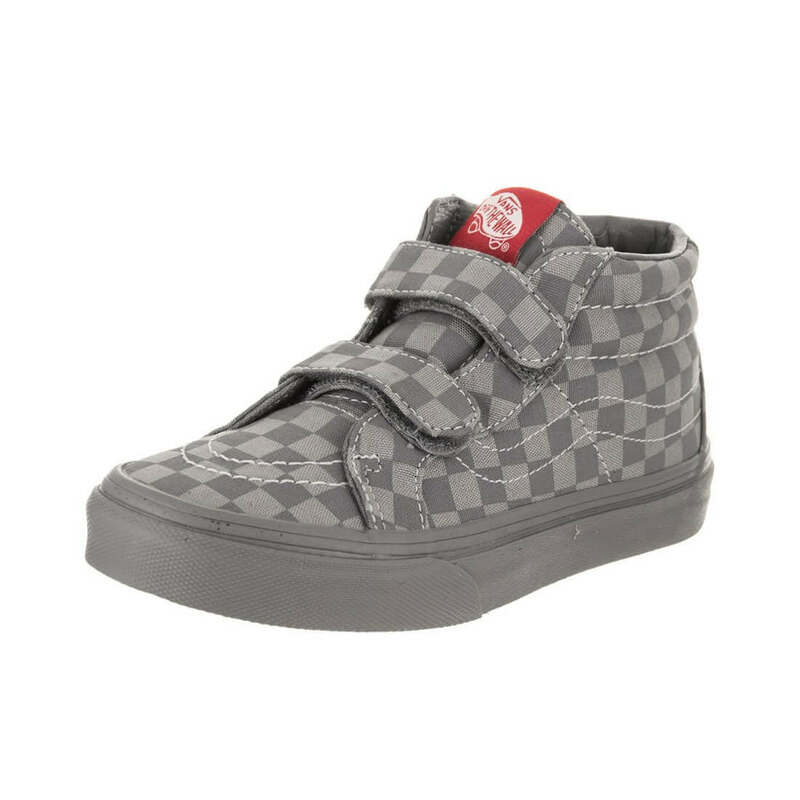 The Vans Kids Mid Rise Checkerboard sneakers are a mid height that is great for the cooler time of year. 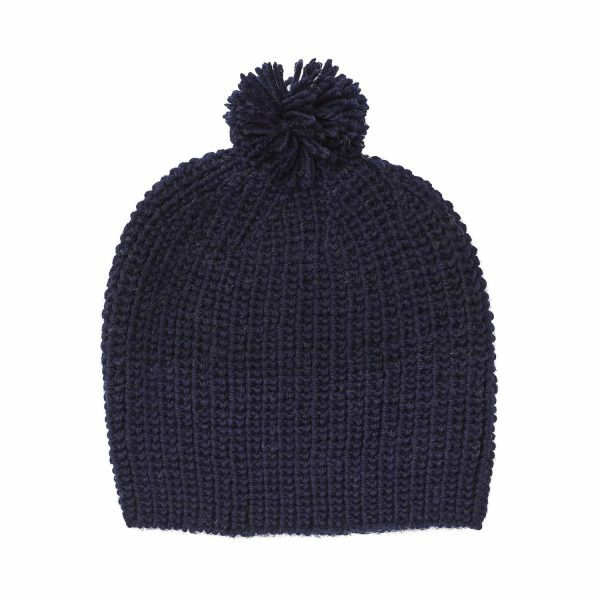 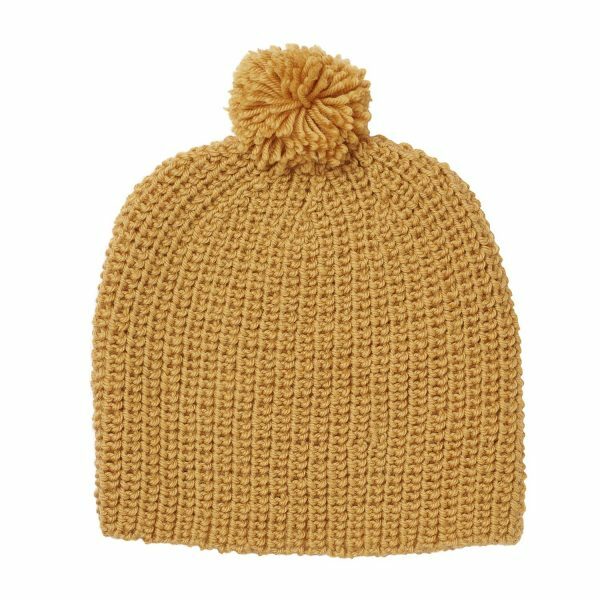 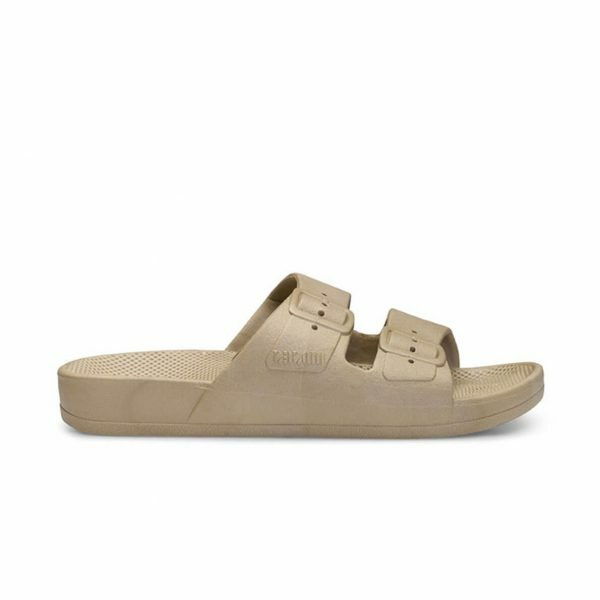 Wear them back with trackies and a hoodie for an streetwear cool look. 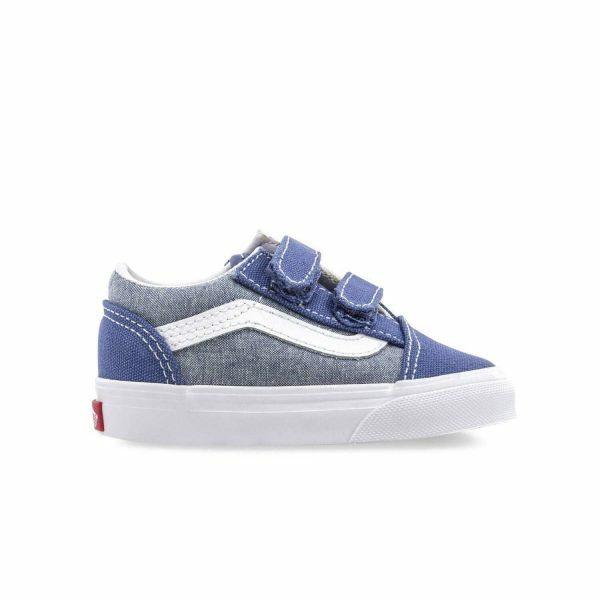 The upper is made of a strong, durable canvas and the grey outer rubber sole is vulcanised which means it has incredibly strong construction tot he upper part of the shoe. 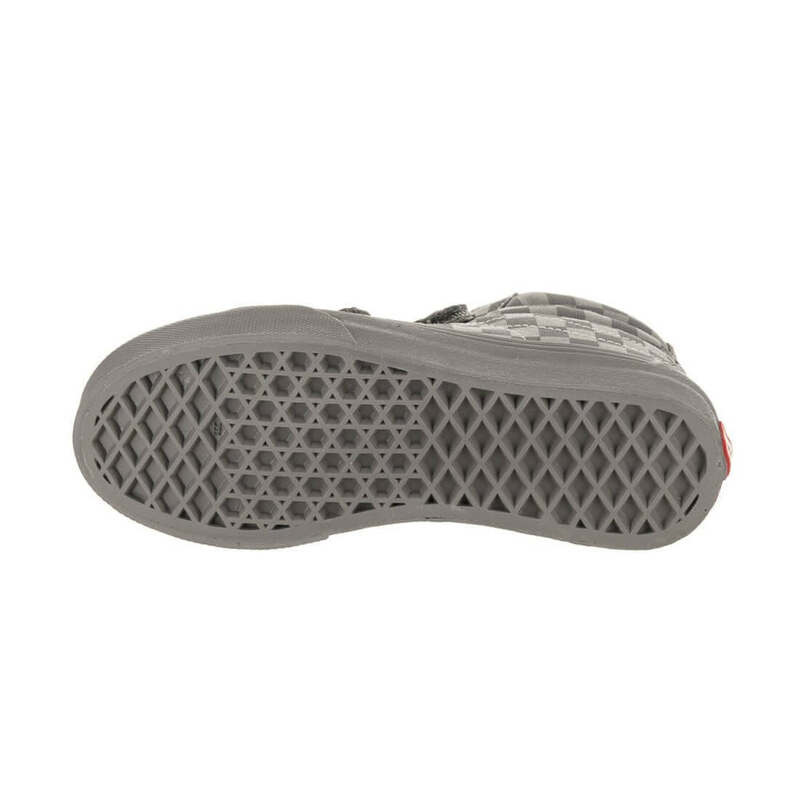 The under sole is a waffled grip tread. 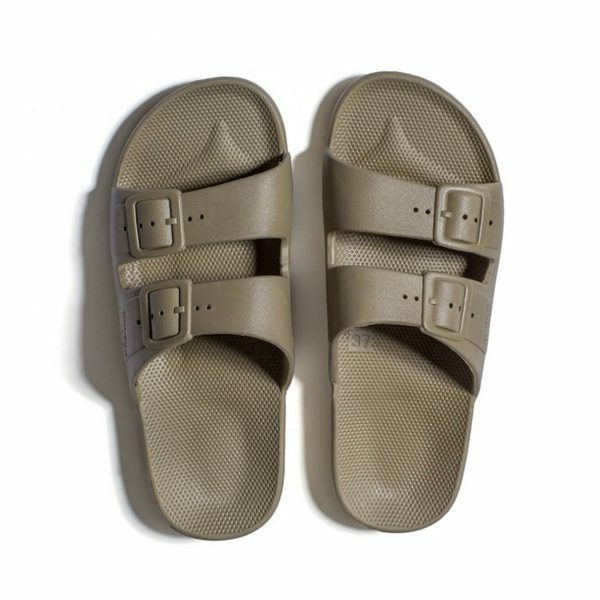 The double strap closure makes them easy to get on and off. 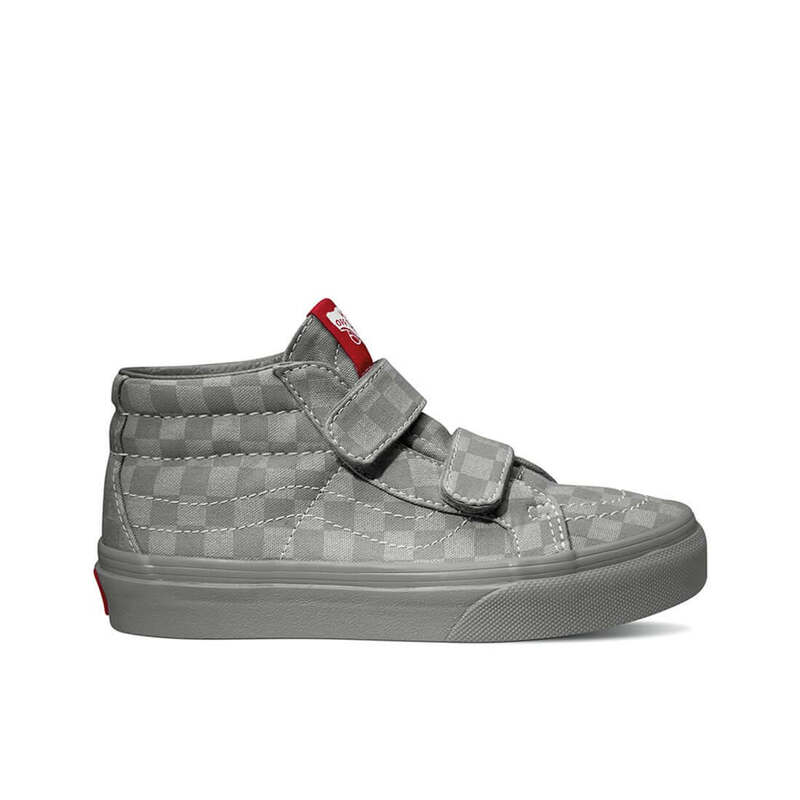 The ankle is padded for comfort. 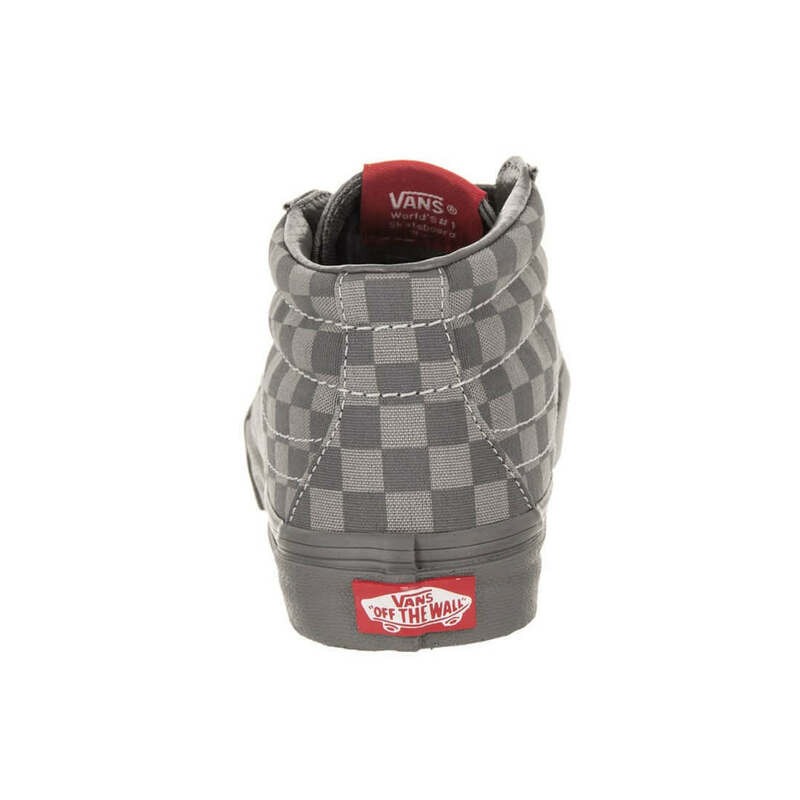 The red Vans label features in red on the back of the heel and the tongue. 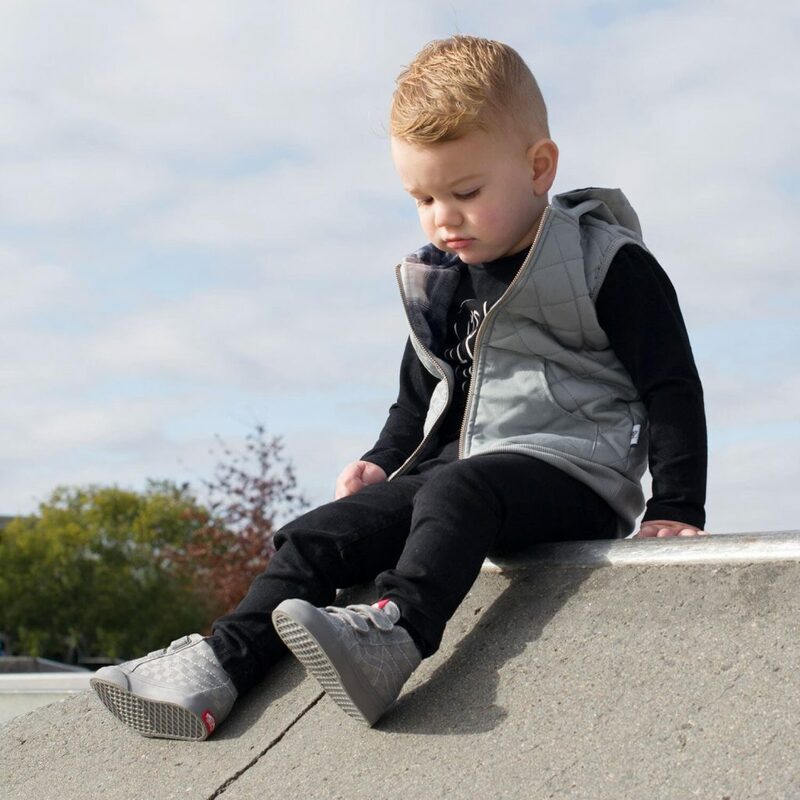 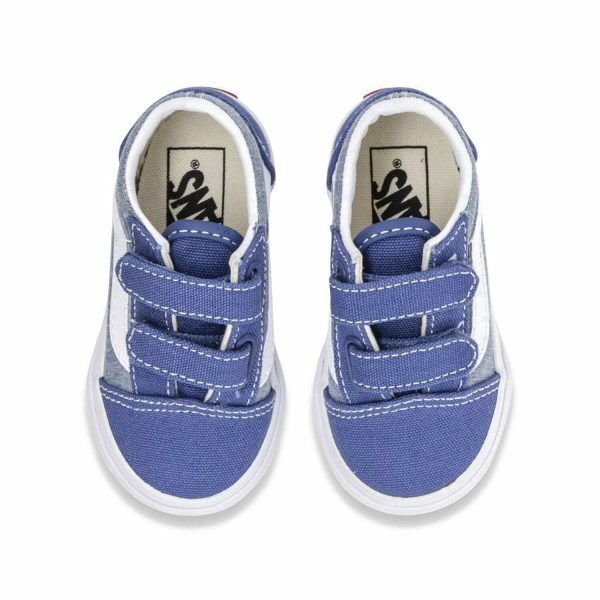 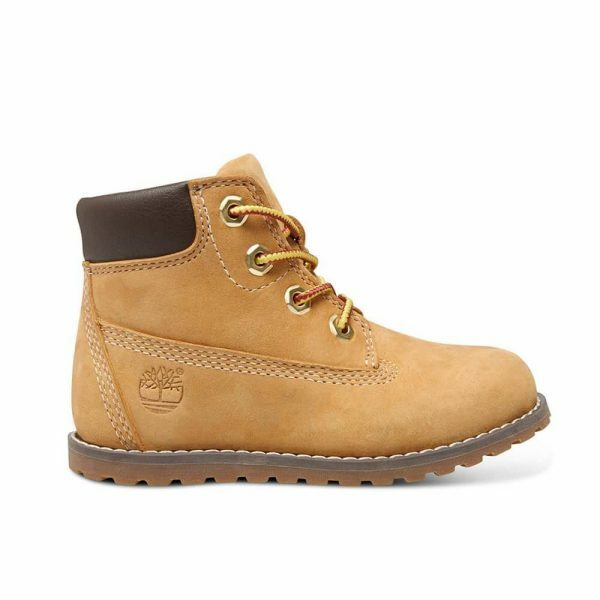 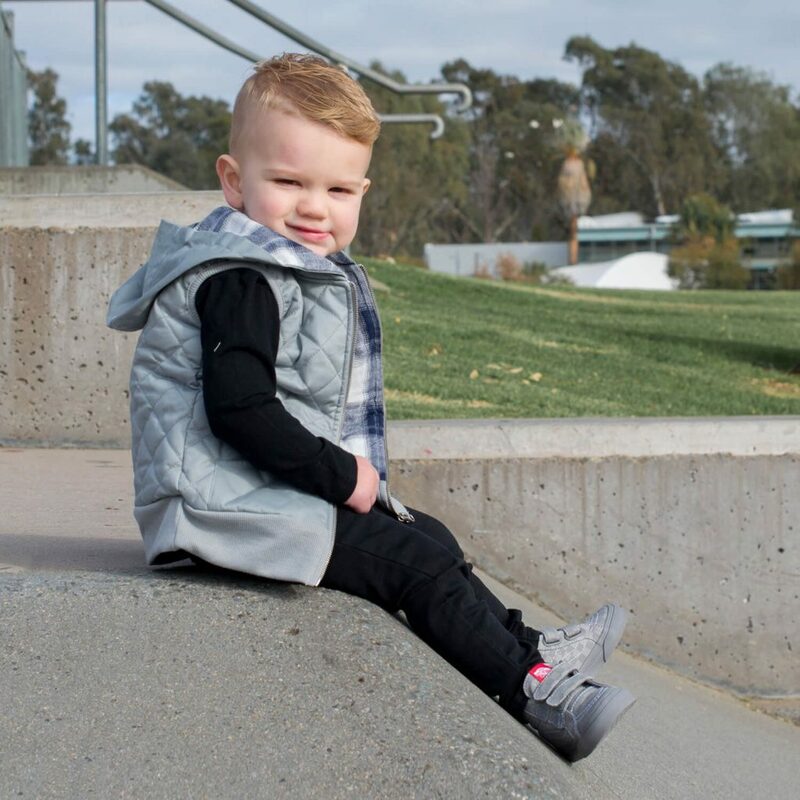 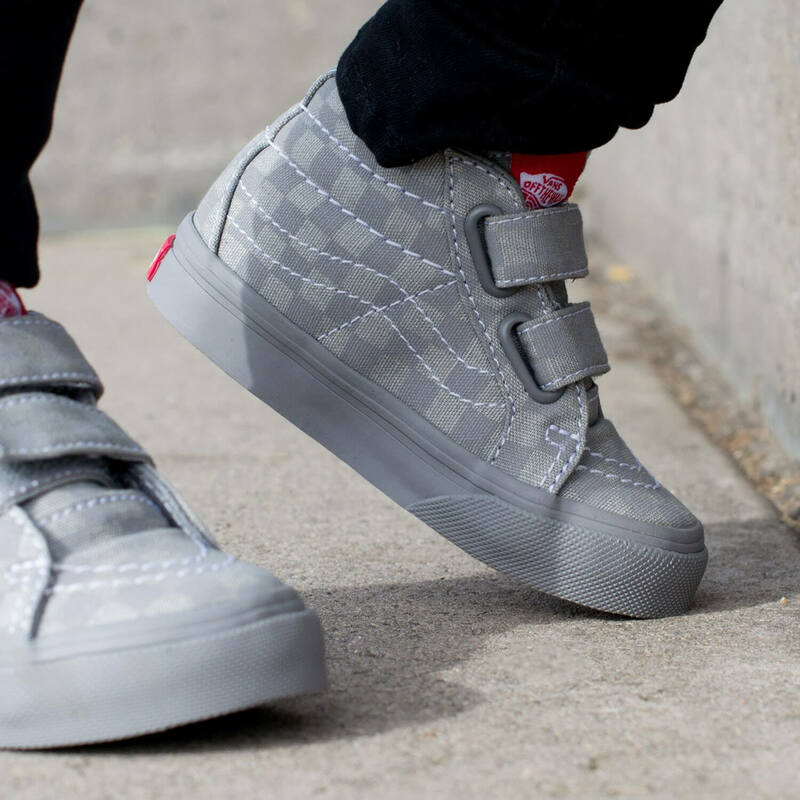 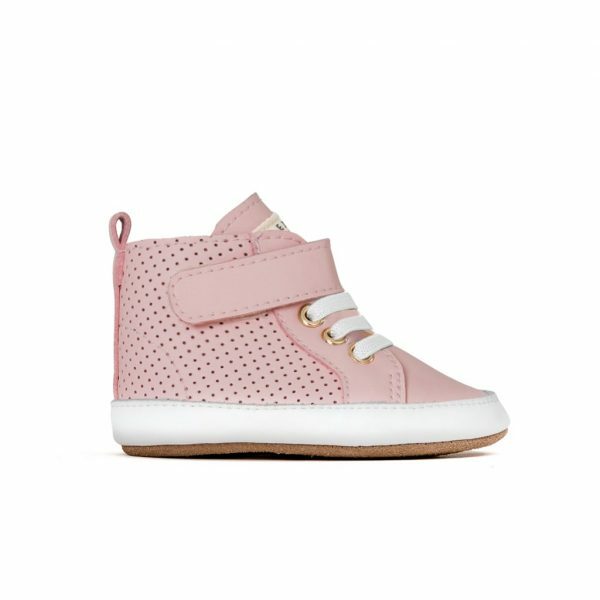 These sneakers are the toddler version and are suitable for confident walkers in a size US 5-10.